It sounds like a blank check waiting to be cashed and in many ways it is, so long as we have a bank in which to cash it. John provides the necessary qualification in a letter where he explains what it means to pray in the name of Jesus. Our confidence in prayer comes from knowing that we are praying according to God’s will. But how is that connected to praying in the name of Jesus? And how can we know God’s will? Names in Bible times spoke much more about character and role than they do today. Take, for instance, two of the names of God: “the Almighty” expresses God’s power over every other being in the universe, “Immanuel” (God with us) points to the desire and promise of God to be with His people forever. 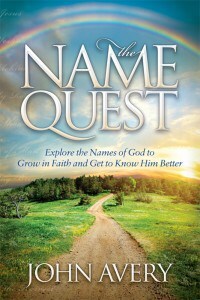 Those names, like most names for God, speak of different aspects of His character and will. To pray in the name of Jesus means to pray in a way that is consistent with who He is and what He desires. It would be no good asking God to harm someone out of spite because God loves His people and wills the very best for everyone. The name of Jesus also represents all the authority that He has. When we pray in the name of Jesus, we are asking Him to use His power to do what is impossible for us. How exciting to pray for things that only God can do! Our limitations on blessing other people and leaving a legacy are gone. The gospels and the book of Acts give some examples of disciples performing miracles in the name of Jesus (Mark 16:17-18; Luke 9:49; 10:17; Acts 16:18). In Acts 4:7-12 Peter and John used the name of Jesus to heal a man at the gate to the temple. They understood the issue of authority. The religious rulers did too. They knew the healing happened because a higher authority had been invoked; their question was which “name.” Their conclusion was to ban the disciples from speaking the name of Jesus again (Acts 4:17). The name of Jesus is the highest in the universe; He commands all creation for all time. In other words, it is no use calling Him Lord without making Him Lord. An incident in the book of Acts demonstrates what can happen if that warning is not heeded. Jewish exorcists and seven sons of a priest tried to expel evil spirits using the name of Jesus in a second hand way, “I adjure you by Jesus whom Paul preaches” (Acts 19:13). The demon scoffed “I recognize Jesus, and I know Paul, but who are you?” (Acts 19:13-17). We must do much more than just speak the name Jesus, we have to live in submission to Him and our lives must align with His character, will, and ways. When we accept what Jesus did for us on the cross and make Him Lord of our lives, it is as though we open a bank account with heaven. We keep that account in good standing by taking seriously the responsibilities of being a follower of Jesus. That includes getting to know Him through reading the Bible, prayer and fellowship. When we know His will, then we can have confidence that He hears and answers our prayers in His name (1 John 5:14-15).